Stretching the One Income Dollar: Happy Mother's Day Moms Everywhere! 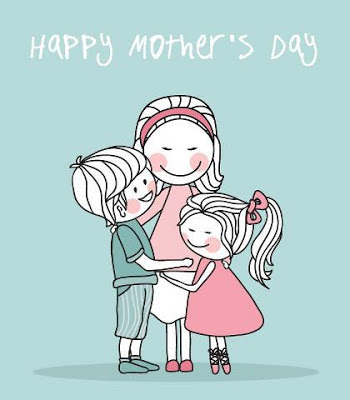 Happy Mother's Day Moms Everywhere! 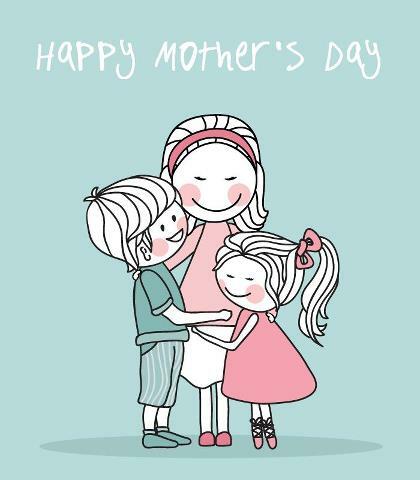 To all moms everywhere- Happy Mothers Day! May you share a special day with all your loved ones. I was spoiled again this year. Gerry gave me a very nice silver chain this year. I had been wearing one he gave me about 6 years or more ago, day and night.. and it was just not pretty anymore.Very dull looking. So am quite happy with the new one. The girls got me flowers, chocolates, scratch off tickets and a couple of gift cards- so all and all a very nice Mothers Day. Plus the fact that my girls live here is a nice gift in itself. Gerry is doing some moving around with re-organizing the backyard again. Something he likes to do- spend time outdoors in the yard. We sold a shed, some old cupboards out of the trailer, and a metal stand yesterday. Hope to sell another shed today if the deal goes good. Also sold a birdhouse. I didn't have any birds pay attention to it, and am trying to sell a garden trellis. We did a re-do on our bigger bathroom and now it matches the smaller one we have off our bedroom. Buying a make shift car port today at Canadian Tire if they have them in stock. A good price plus ours is in bad shape.Last year the snow collapsed the roof in it and Gerry had to reinforce the roof best he could. We don't use it for vehicles but use it for storage- ours and the girls. Off to enjoy the day though and to do some surfing on the net. Everyone have a good day!